I apologize for the less than stellar cellphone photos, but this was just too sweet to pass up. 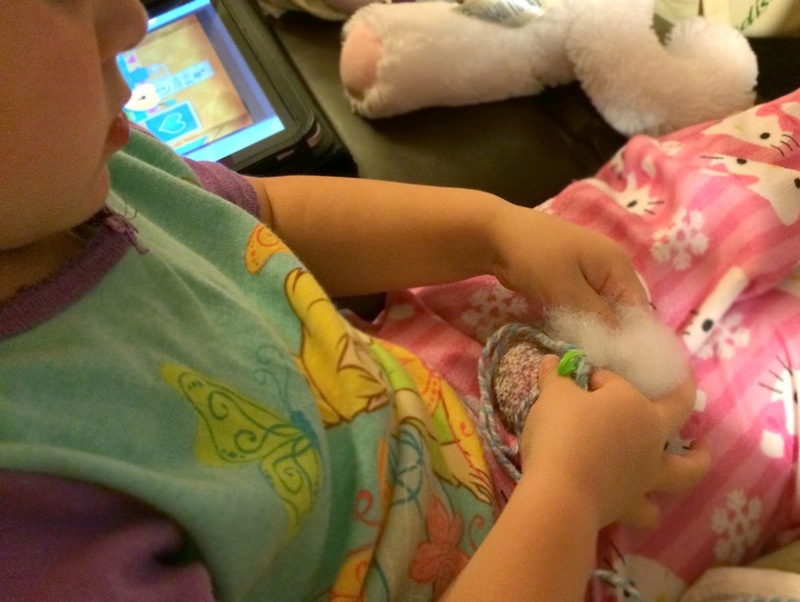 I'm making an amigurumi cat for Leanne and I was at the point where the body needed stuffing. Leanne wanted to help, so I showed her how to get started, fully expecting her to get bored and give up after a few minutes. Nope. 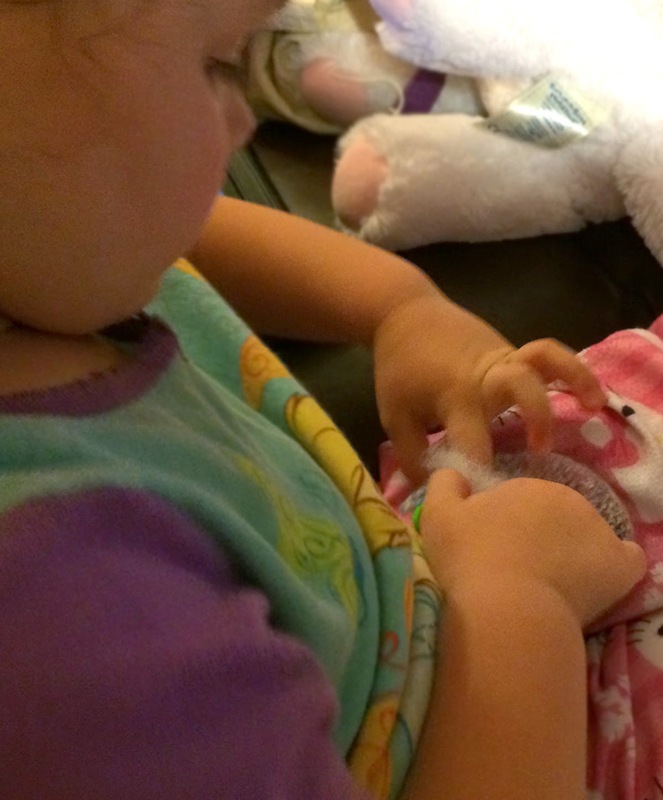 She was quite content to sit beside grandma, stuffing polyfill into the tiny cat body until it was nice and fat. 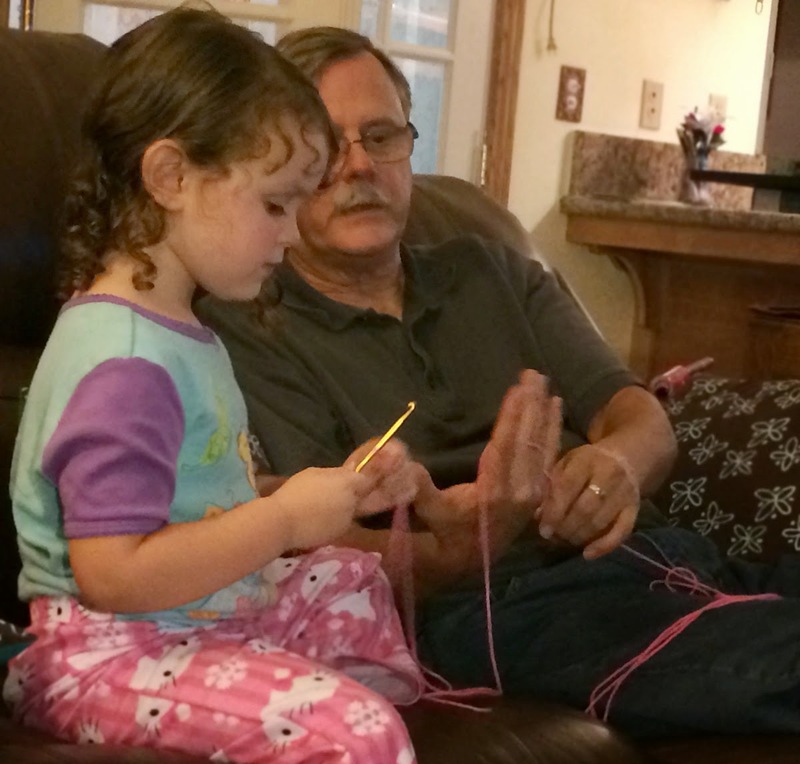 She was a bit annoyed that there wasn't something else to stuff, so I handed her a crochet hook and a bit of yarn, but explained that grandma needed to keep working on her kitty so she could have it to play with soon. So what's a girl to do? 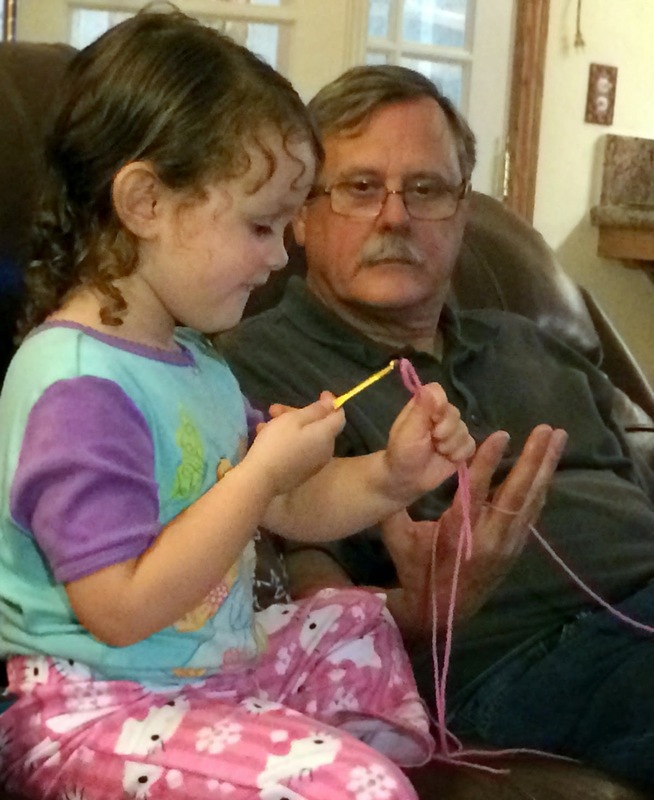 Go sit with PopPop and make ask him to help you crochet.